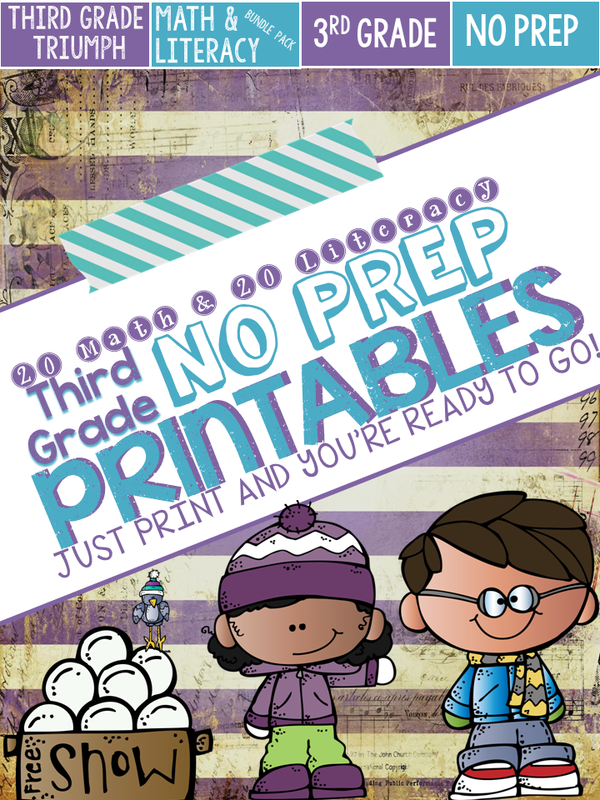 The Best of Teacher Entrepreneurs: "No Prep Winter Math and Literacy Printables - 3rd Grade"
"No Prep Winter Math and Literacy Printables - 3rd Grade"
My TPT store - Follow Me! I am so excited to be bringing this product to you! Teachers are a very busy bunch and sometimes we just don't have time to get it all done...I know I can be the first to admit that! I have a solution, no prep printables that are ready to print and go. Best of all they are CCSS aligned, include math and literacy, and come with answer keys!!! I have used these countless times in my room to review essential skills, preview skills, sub work, early finisher work, and homework! These are engaging and fun activities that can be completed independently or as a whole class. I have a bundle pack that combine both math and litearcy. I also have individual packs if you're just looking for math printables or just literacy printables. I also have a freebie that you can try out to see if you like them!